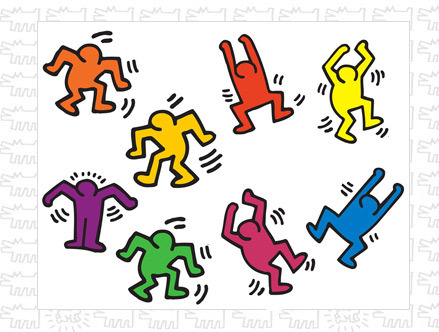 Originally appearing on the New York city subway's vacant advertising panels at the beginning of the 80's, these now iconic characters were Keith Haring's signature as chalk drawings. 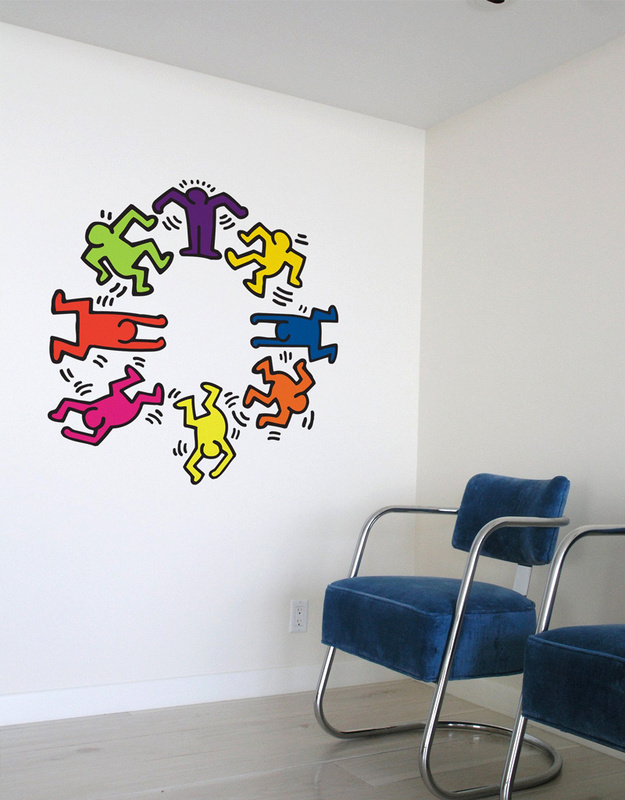 'Dancers' is available here in a pack of 8 Giant colour Wall Stickers. These Giant Wall Stickers are high quality products made of two layers of very fine vinyl for a duo tone aspect. 47.95 Stock: Special Order Only.